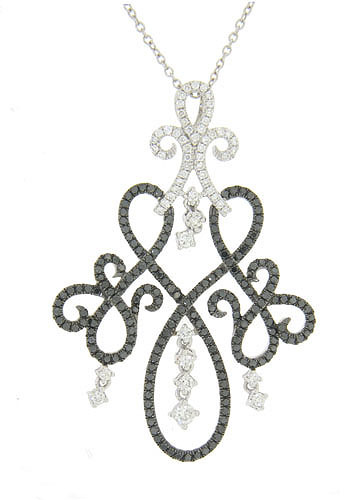 Intricate scrollwork fashioned of 14K white gold and set with fine faceted white and black diamonds adorns this spectacular antique style pendant. This gorgeous piece measures 1 3/4" long, 1 1/4" wide. The chain is 18" in length.